German Security Policy: Is Europe Germany’s Crutch? The NATO treaty guarantee has been weakened by President Donald Trump’s alternating attacks on the alliance followed by effusive pledges of support. His Europe trip in July demonstrated his tendency to attack his friends and embrace autocratic leaders, as he constantly denigrated and actively undermined his allies, threatened to abandon NATO, and called the European Union (EU) a “foe.” Conversely, he was infamously chummy in his joint press conference with Vladimir Putin in Helsinki. Yet arguably most damaging to the credibility of NATO was a FOX News interview in which Trump publicly questioned whether he would defend Montenegro, the alliance’s newest member. This approach has generated a reaction in U.S. politics—Congress has pushed back against President Trump’s attacks on NATO and a new bipartisan bill is currently in the works which would require a two-thirds majority in the Senate to pull out of the alliance. Yet, the fact that this seems necessary at all is telling enough. While the erosion of NATO’s cohesion is a concern for all members, Trump’s intense personal animus against Germany means that this is a particularly worrying development for Berlin. With the defense guarantee that has underpinned Germany’s security and prosperity in danger of slipping away, one would think that Berlin now has sufficient motivation to increase the readiness of its decrepit military. However, due to the close association of Trump with increased defense spending, the issue has become politically toxic in Germany. Accordingly, the SPD was quick to take a stance against “Trump’s armament mania” as a potential vote winner. From abroad, it must seem absurd that the SPD is railing against a new “arms race” at a time when Germany’s defense budget stands at just 1.2 percent of GDP. What is more, the recently announced “budget increase” struggles to outpace inflation, much less be the spending “turnaround” it is being hailed as by the German Ministry of Defense. The simple fact of the matter is that most Germans, living in a country surrounded by allies, do not feel threatened. However, at the heart of Germany’s defense spending problem is not political opportunism or even that any increase in defense spending—be it ever so minuscule—is portrayed as being at the expense of kindergartens and schools. The simple fact of the matter is that most Germans, living in a country surrounded by allies, do not feel threatened. In fact, according to a YouGov poll, 64 percent of Germans consider Trump a greater danger to world security than Putin. Is it then really so surprising that only 16 percent of Germans regard defense spending as a priority? Yet, at the same time, 88 percent strongly support European defense. Thus, why not frame future defense investments as part of a European effort to adapt to a changing strategic environment? It is quite easy to forget, but at €227 billion the EU’s collective military budget is larger than that of any other nation with the exception of the United States. Yet, despite investing about half of what the U.S. spends on its military, EU member states have only a fraction of the U.S.’ military capabilities. Why is it that the EU’s collective military power is so much less impressive than what the sum of its parts would suggest? 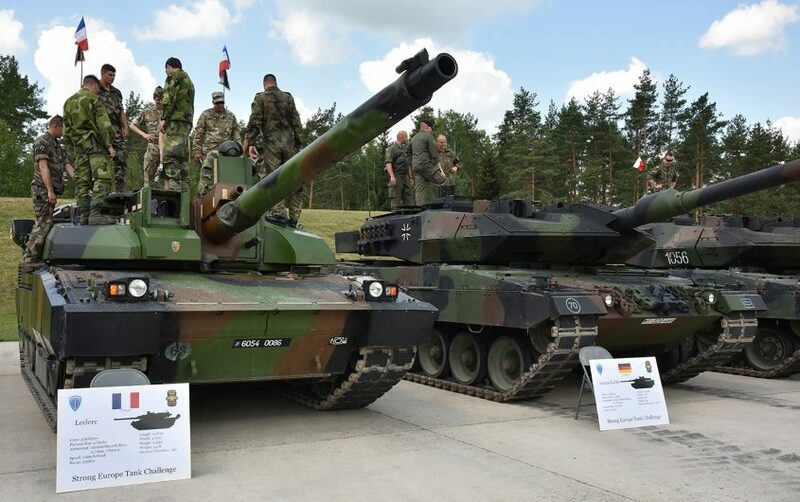 Aside from the obvious duplication of administrative structures, there is enormous redundancy when it comes to weapons systems; for instance, whereas the U.S. has only one type of battle tank, the EU member states have seventeen. 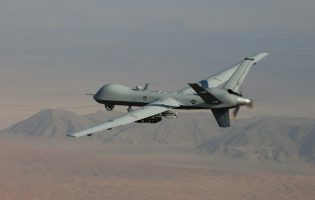 According to a European Commission white paper, the EU has almost six times as many weapons systems as the U.S. Consequently, there is a clear rationale for enhanced military cooperation among the Europeans. As much as some government officials in the U.S. and UK seem to fret over the possibility that a stronger EU defense policy could fracture the Atlantic alliance, enhancing Europe’s military capabilities is in NATO’s interest. While there have been concerns that the EU’s military efforts could duplicate or even undermine NATO, the often-invoked calls for “Europe United” should not and do not mean Europe alone. According to leaked documents, PESCO projects could be open to third countries like the U.S. or the UK on a case by case basis. As much as some government officials in the U.S. and UK seem to fret over the possibility that a stronger EU defense policy could fracture the Atlantic alliance, enhancing Europe’s military capabilities is in NATO’s interest. Initiatives like PESCO and EI2 can create “European added value,” allowing Europeans to build and improve on capabilities that individual nations would struggle to afford. However, it is important to remember that progress on a defense union won’t come quickly and it most certainly will not come easily. Consequently, these institutions cannot replace the member states’ national armies in the foreseeable future. 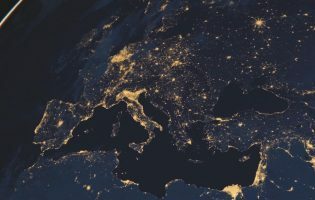 That does not mean that European defense cooperation is not worth pursuing, but it should not be allowed to turn into yet another European defense initiative that is held together by nothing but lofty speeches and good intentions. Nor should the establishment of this new defense pact lull Germans back into the complacency that was so rudely disturbed by Trump. Debates about German security policy have taken place far from the public eye for far too long; it is only recently that the general public became more than only dimly aware of it. Let’s utilize the current momentum of European defense to finally have a serious discussion about what threats Germany, Europe, and the transatlantic community face, and what role we want our armed forces to play—and equip them accordingly. The German public must be brought to realize that if Germany increases its military spending, it does so not to please Trump or even our European allies, but to safeguard our security and prosperity. Michael Trinkwalder was a Research Intern at AICGS for Summer/Fall 2018. Currently, Mr. Trinkwalder is pursuing a master's degree in International Relations at the KU Eichstätt-Ingolstadt in Germany. In his program, he concentrates on issues of foreign and security policy as well as diplomatic history. He is particularly interested in transatlantic relations, the future of the EU, the Common Foreign and Security Policy (CFSP), and Chinese foreign policy. Before joining AICGS, Mr. Trinkwalder spent time abroad studying in both the UK and China and worked as a project assistant at the Aspen Institute Germany. 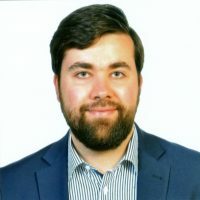 He is a founding member of the university group for foreign and security policy at the KU Eichstätt-Ingolstadt as well as a member of the Young European Federalists.